I don’t think there are enough days in a year to enjoy all the best of desserts in this city! So I’ll start with a few of my favorites and just keep adding as the year goes on. It really is a tough job, but someone does have to do it. I just hope my clothes still fit next year at this time! It was difficult to pick my favorites, but Austin has a little niche of awesome female pastry chefs. So I thought I would focus on restaurants that met that criteria. I met some really awesome chefs with this project. I also tried to stick with downtown, or close to downtown for this first go around since so many South by Southwest visitors use the guide. But rest assured, excellent desserts are not only downtown in this little city! I wish I had enough room to share every Chef’s story in this post, but I cannot, so you can just check back for the updates of the conversations. I think we will go with a monthly post of Lunch With a Pastry Chef. Sticking with that theme, I am going to share my conversations that I had with Pastry Chef, Angel Begaye, from Trace. Angel, after being in Austin for almost a year and a half, can no longer be called a newcomer to the city. Shoot, at the rate people move here, you are practically a native after a year! 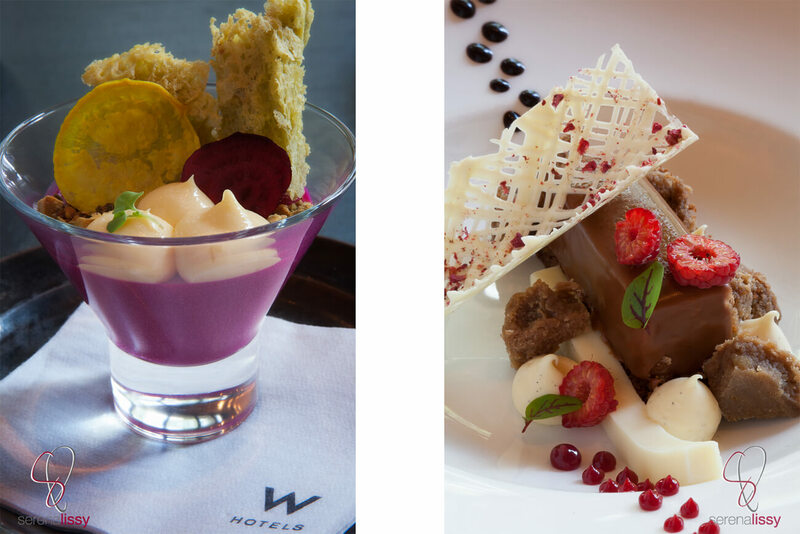 Chef Angel has been working with the Starwood brand of hotels for almost 8 years now. After completing her culinary degree at Le Cordon Bleu in Arizona, she began working with the Phoenician, part of the luxury collection of Starwood hotels. Angel has a great background. She grew up in Arizona and not too far from her grandparents who lived on a Navajo reservation. As a Native American spending so much time on the reservation, she learned to appreciate the land and be extremely creative making the most with limited resources. She understands how to make due when a grocery store run isn’t always available. In my mind, I have no doubt she is one of those people that can open up a refrigerator, and with only milk, eggs, maybe a vegetable, and some basic pantry items can whip up a five course dinner. Now when I open up my refrigerator and see just those ingredients, we are eating pancakes or going out for dinner. With those kind of skills, it’s no surprise she has ended up at Trace. Trace has a dedication to socially responsible food. Their cuisine is prepared from locally sourced and sustainable ingredients. It’s not uncommon to see the Trace chefs out at the downtown farmers market on Saturday mornings picking ingredients for the weeks menu planning. One of the items I sampled was the Johnson’s Backyard Garden Beet Yogurt. This dessert is a roasted JBG red beet yogurt mousse, local honey creme, pistachio micro sponge, all topped with toasted pistachio and beet chips. It’s no secret I’m not a beet eater. My first thought is ick, when someone says beets. But wow this dessert was wonderful! Earthy, smooth flavor, perfectly paired and just delicious. Not too sweet and just the right amount of beet flavor. The other dessert I sampled was the Chocolat au Lait. Now when the description starts with Valrhona, I’m all over it! I’m a raving fan of Valrhona, and can’t get enough of it. This was a Valrhona Caramelia mousse, milk chocolate almond cake, opalys white chocolate ganache, vanilla opalys creme and raspberry gel. Even with as many components as this desert has, everyone of them was delicious. I don’t have a favorite of these two, which is why they both made the write up. Now before we move onto some other favorites for this write up I wanted to share something that Chef Angel said during our lunch. I asked her if there was anything she wanted to make sure was mentioned in the writeup or anything about her we should know. And she thought about it for a moment and came back with such a simple but powerful statement. 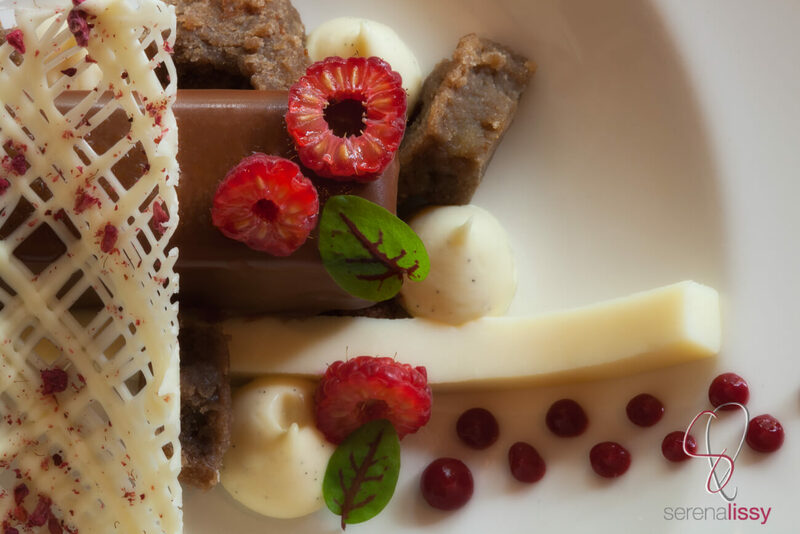 She said, “I believe as long as you have a fundamental appreciation of the background of food, and what you can do with it, you have endless possibilities.” It’s this kind of thinking that will continue to let Trace have some fabulous and creative desserts. Trace is located at: 200 Lavaca Street, Austin TX. From Trace I jumped in the car and headed on over to Perla’s. They have one of my favorite desserts that has been on the menu for a while, but I order it every single time. 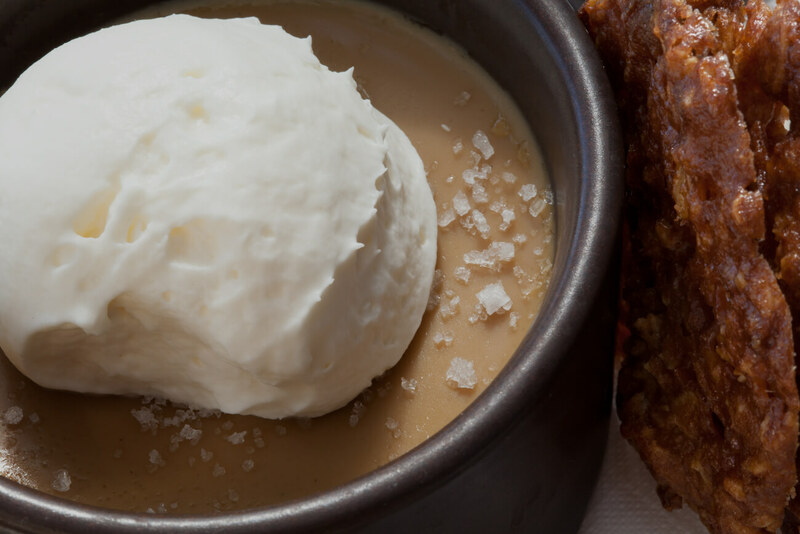 The Salted Butterscotch Pot de Creme with coconut lace cookies and whipped creme fraiche. Good grief that salted butterscotch flavor is soooooo delicious! 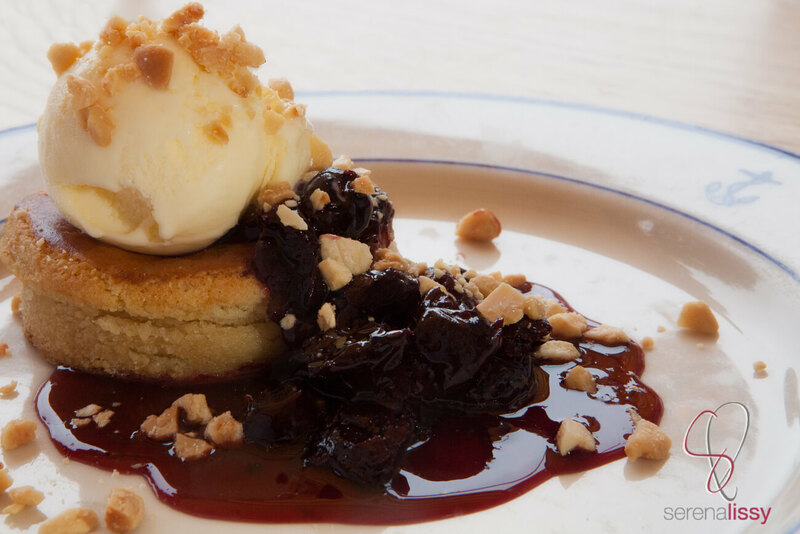 Pastry Chef Natalie Gazaui is whom we have to thank for keeping this on the menu. And I hope it stays there for a really long time! Perla’s has a wonderful outdoor dining area in addition to the dining room. It’s one of my favorite ways to spend an hour. Sitting on that patio enjoying a cold beverage under the many shade trees eating dessert with friends. Doesn’t get much better than that no matter who you are. Next on the list is Second Bar & Kitchen. Michele Arcilla Hall is the Pastry Chef that creates these wonderful desserts. I sampled the milk chocolate hazelnut mousse, with rum roasted banana ice cream and coffee streusel. 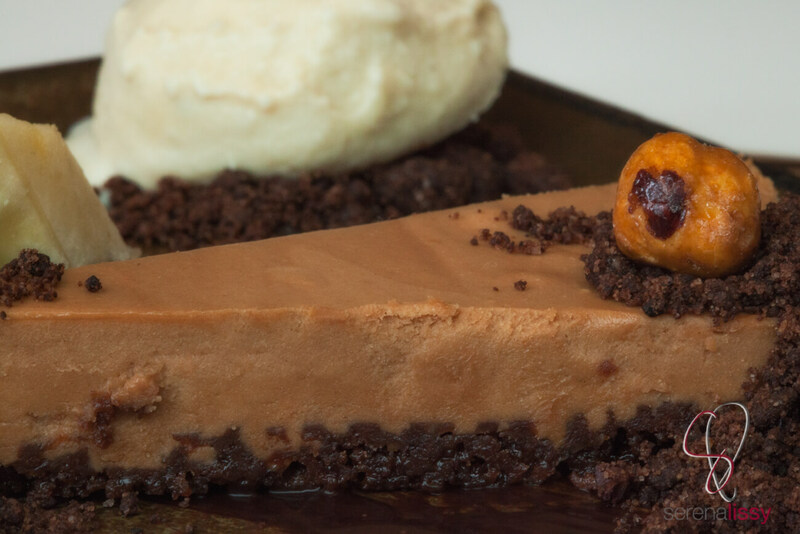 Oh that hazelnut mousse…Delish! What I love about Second Bar & Kitchen is that they have regular dessert plates and also dessert bites on the menu. So if hazelnut mousse isn’t for you, maybe a sampling of dark chocolate fudge, or poppy seed snickerdoodles will be more appealing to you. And the last spot on the list for today is Clarks Oyster Bar. I know what you are thinking…Oyster bar…Dessert… I’m telling you, just go there! This is another spot that I couldn’t commit to a favorite and actually went with two desserts. See why I’m worried already about fitting into my clothes next year?!? I had heard the basque cake was a must try, and my sources were correct! Cherry preserves, cream cheese ice cream and marcona almonds… YUM! But while I was there I saw the triple chocolate bread pudding. Now you are talking! 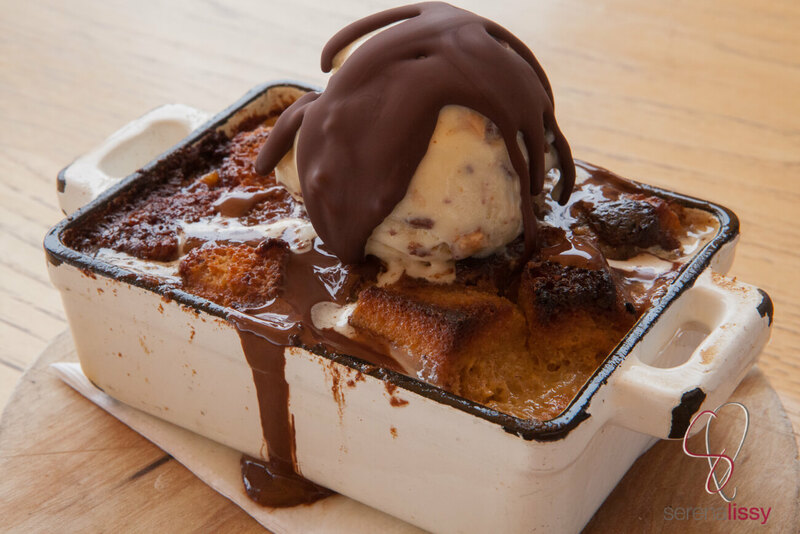 Malted heath bar crunch ice cream on top of piping hot bread pudding! Oh my! If you are a bread pudding person, this is a must have. Clarks is located at: 1200 W 6th Street, Austin TX. So there you have it! My favorite desserts for 2015…So far! And as always if you have something we must try, leave a comment and we will be sure to get there!